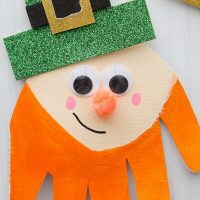 Let’s celebrate St. Patrick’s Day with some fun leprechaun crafts! 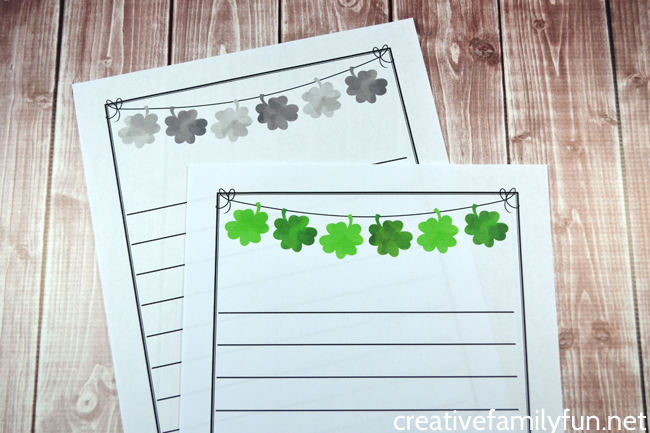 There are so many fun St. Patrick’s Day crafts you can do, from shamrocks to rainbows. But you can’t forget the lucky leprechaun! 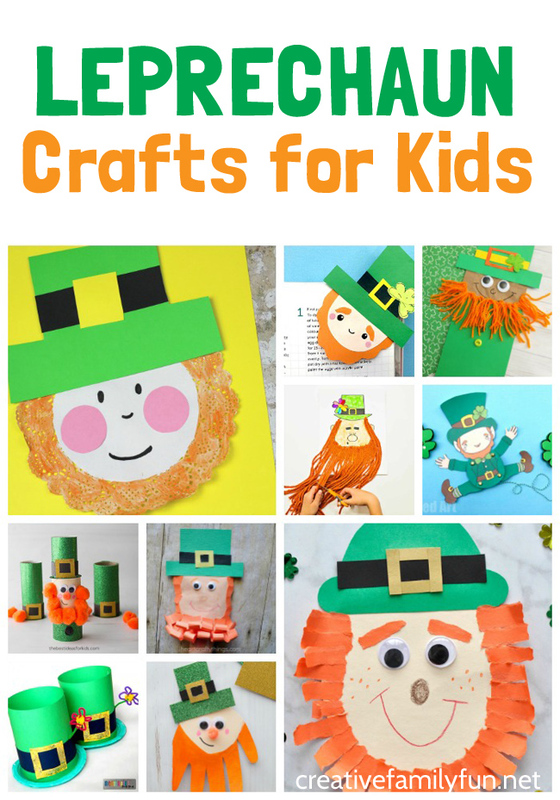 These fun leprechauns are all great crafts for kids to make. They aren’t too mischievous, but they are colorful and friendly. Let’s grab some supplies and get started crafting! 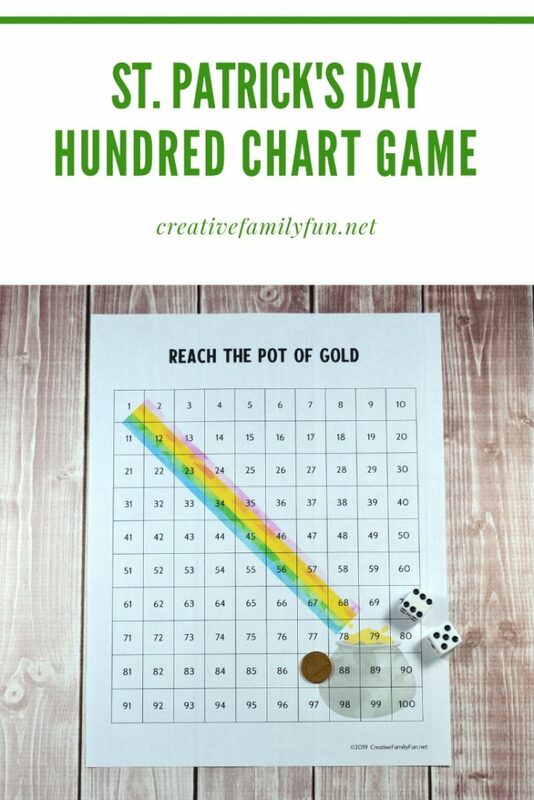 You’ll find all sorts of fun crafts in this list, from puppets to cards to bookmarks. You’ll even find some great dress-up crafts! 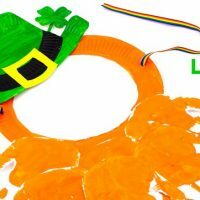 Fun Leprechaun crafts your kids will love to make for St. Patrick's Day. 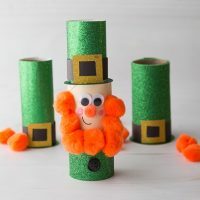 Use cardboard tubes to make this super-cute and friendly leprechaun. 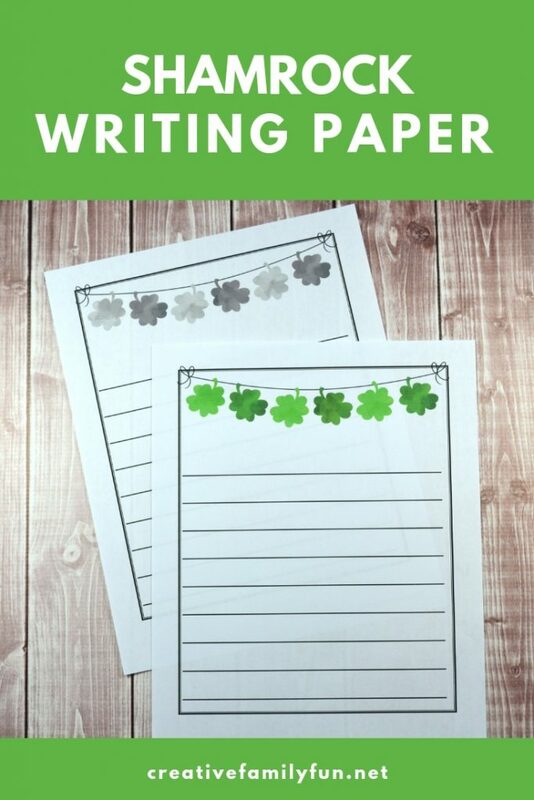 Use the printable template to make this fun Leprechaun paper puppet. 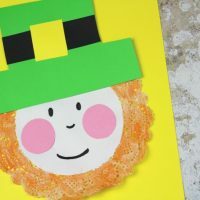 Trace your child's handprint to help them make this Leprechaun card. 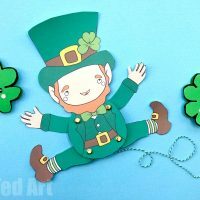 This torn-paper leprechaun craft is great for fine motor skills. 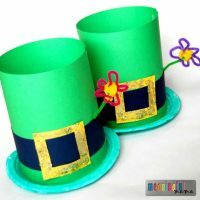 Your kids can dress up as a leprechaun after they make this fun craft. 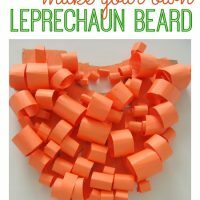 Add this fun curly beard for the perfect leprechaun costume. 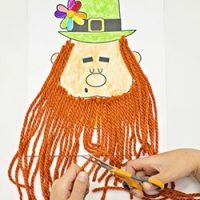 You kids will love using their scissors to cut their leprechaun's beard with this craft. 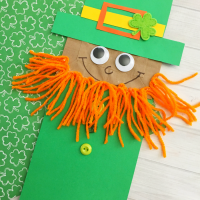 Make a fun leprechaun paper bag puppet! It's fun to make and play! 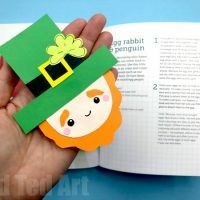 Use a paper doily to make this cute leprechaun. Mark the pages in your book with this fun corner bookmark. 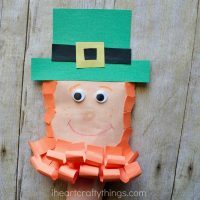 Turn an envelope into a fun leprechaun puppet. 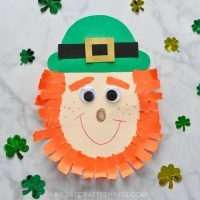 This leprechaun paper plate mask is fun to make and wear. Aren’t these the cutest ideas? I want to make them all! So, pick your favorites, get out the crafts supplies, and spend some quality time with your kids. When we make holiday crafts, it’s always so much fun to add a book. It’s a great way to pass the time when waiting for paint or glue to dry. And, it makes for a fun family activity. 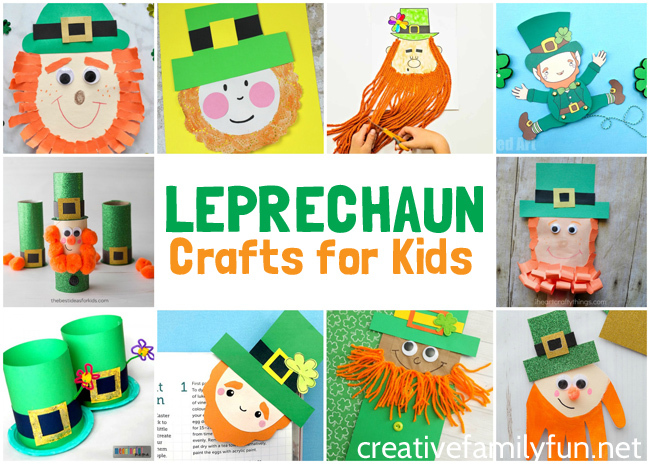 Here are some great books to read with your leprechaun crafts. 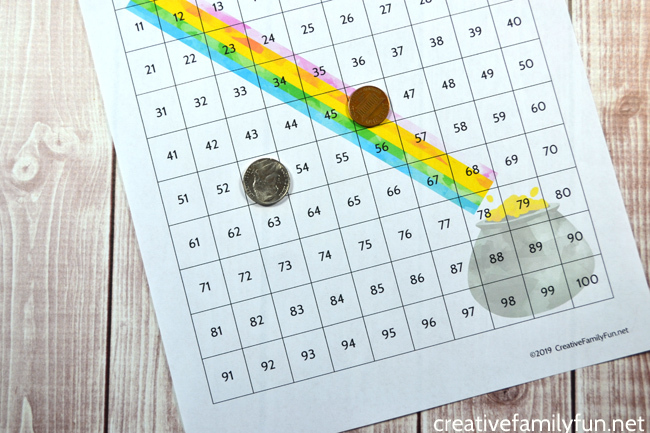 Do your kids love word searches? They’re always great fun. 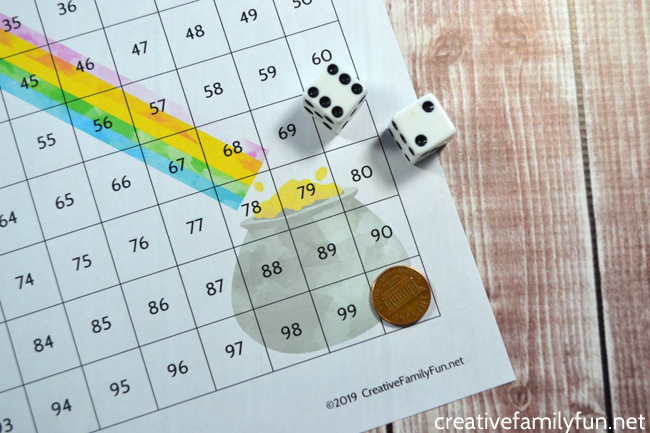 Word searches are great for the classroom, a waiting room, or quiet time at home. I love the way they stretch the brain. 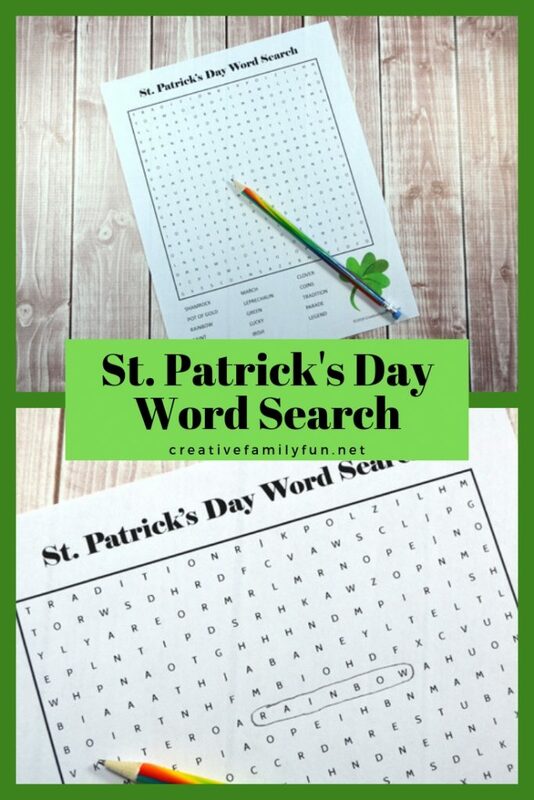 For all the word search lovers, I’ve got a great St. Patrick’s Day word search for you. This word search is perfect for kids in middle elementary through middle school. There are a lot of letters to search through to make it more challenging. 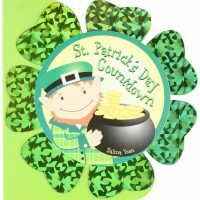 Search for 15 words related to St. Patrick’s Day such as shamrock, rainbow, leprechaun, and lucky. How long will it take you to find it all? 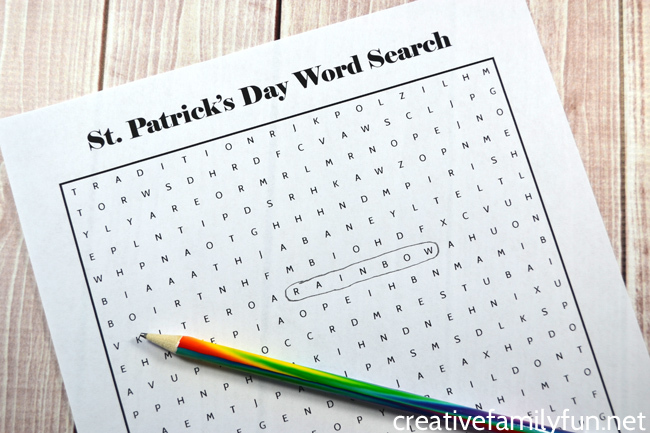 It’s so easy to get your copy of this St. Patrick’s Day word search. Just click the link below and it will take you to a pdf that you can save and print. Feel free to print out as many as you need for your classroom, home, or a waiting room. I hope your kids have fun! Print your word search here. 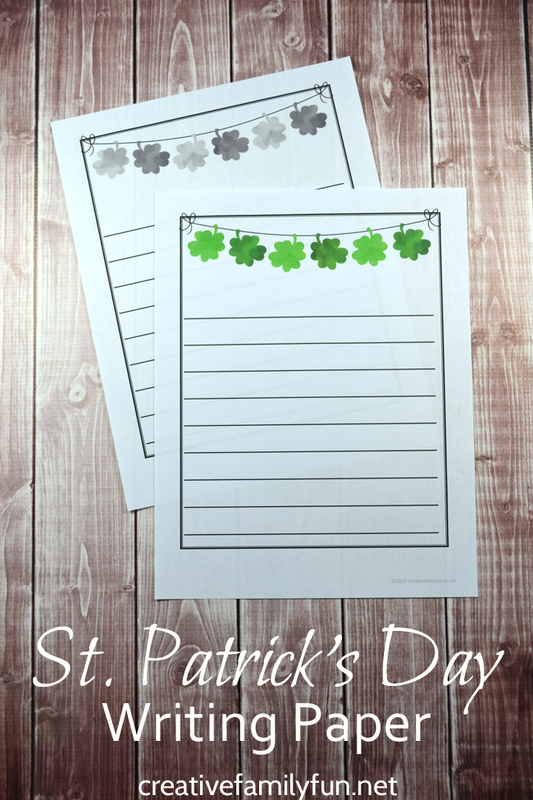 St. Patrick’s Day Color Pages at Crystal & Co. This word search makes a great gift! Do you want to give your friends a sweet and simple St. Patrick’s Day gift? 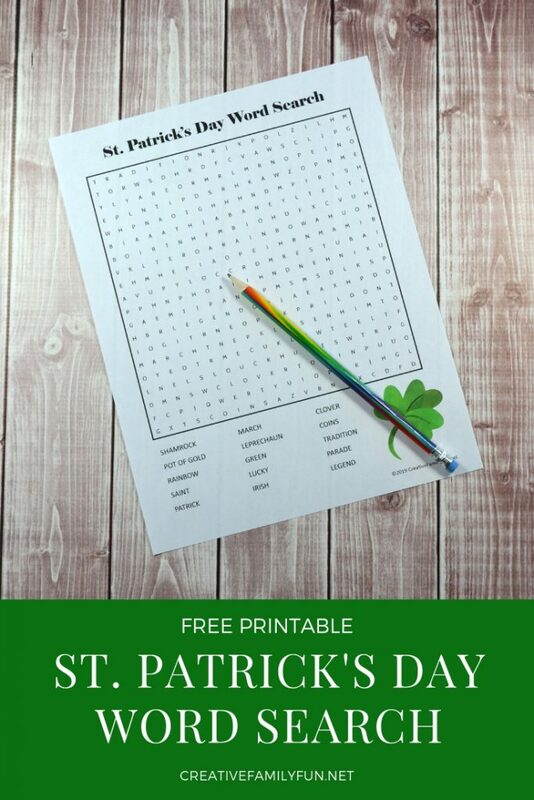 Just print out this word search, roll it up, tie with a ribbon, and slide in a fun St. Patrick’s Day pencil. Simple and fun! Here’s some great ribbon choices and pencils to help you make this word search a fun gift. Over the years, we’ve built a big library of fun holiday books. It’s so much fun each year to pull out a pile for an upcoming holiday. 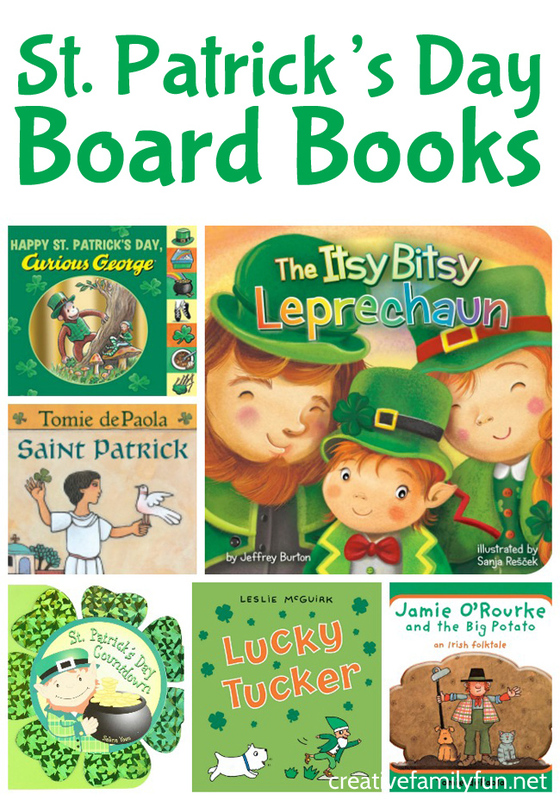 If you’re looking to start a holiday book library or add to your current one, I’ve got some great choices for St. Patrick’s Day board books you may want to check out. Board books are perfect for toddlers. They’re usually written in a simplified form that keeps your little one’s interest. Plus, toddlers can look through these books independently and you don’t have to worry about torn pages. So, let’s grab a few fun St. Patrick’s Day books, cuddle up, and read! 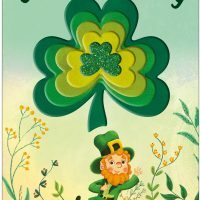 Fun St. Patrick's Day board books that your toddler will love. 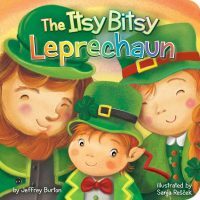 A fun, rhyming St. Patrick's Day twist on the nursery rhyme, The Itsy Bitsy Spider. This is a fun one if you love books that you can sing! 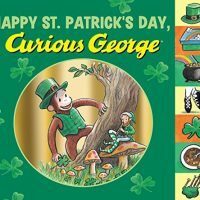 Curious George will teach your little one all about St. Patrick's Day through rhyming poetry. 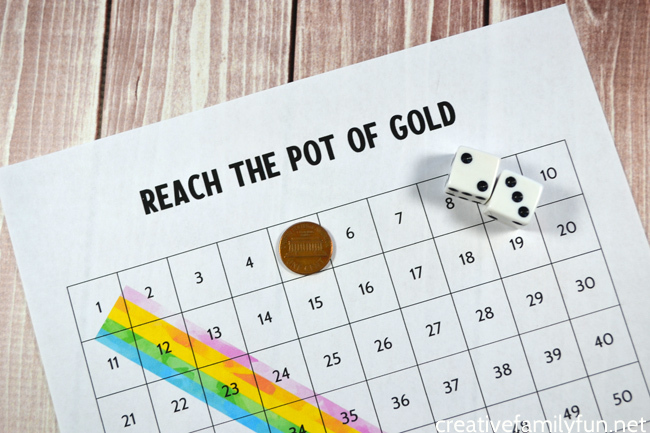 Learn all about the leprechaun through rhymes and touch. 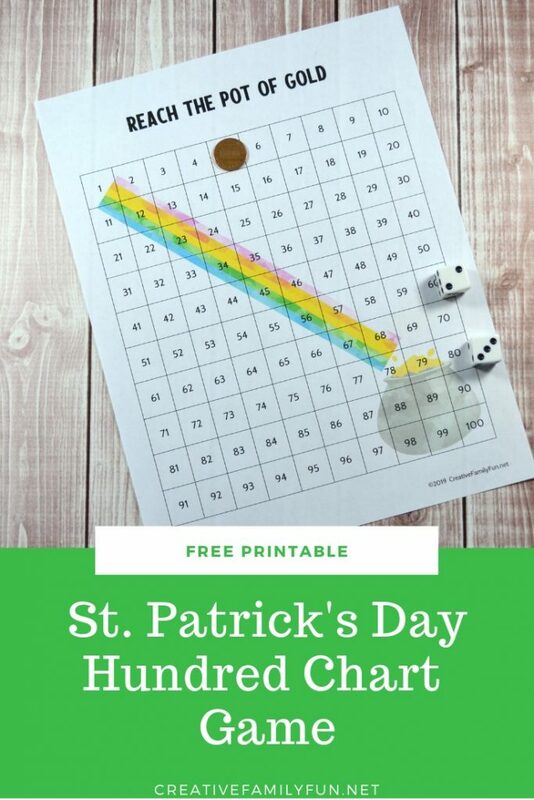 Your toddler will love to find the shiny shamrocks! 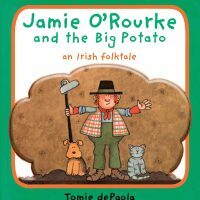 This fun Irish folk-tale is written just for toddlers in this board book version of a beloved book. My girls loved these simple holiday countdown books. This one is great for St. Partick's Day and you can find versions for other holidays. 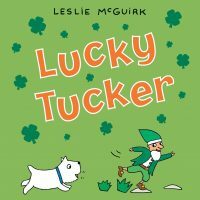 Find out what happens with Tucker the dog rolls in a patch of lucky four-leaf clovers on St. Patrick's Day. 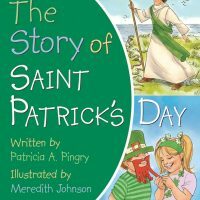 A beautiful explanation of Saint Patrick's Day in a format that is simple enough for toddlers. 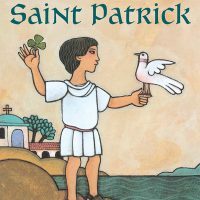 This is a fun and simplified version of the book by Tomie dePaola that tells the story of Saint Patrick. 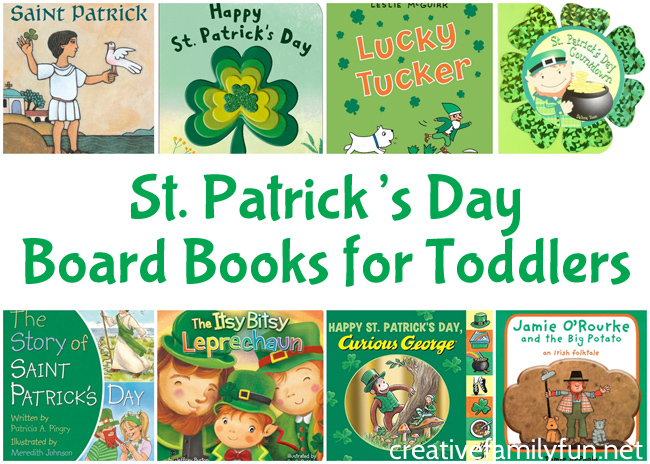 Which one of these fun St. Patrick’s Day board books do you think your kids will like best? Get a few or get them all! Have fun reading with your kids!